Not sure if it's true, but for sure it's amazing! Virtual Reality is the next frontier for gaming and we are already seeing some pretty cool games with the technology. At least for now, though, the larger headsets and wires are a minor stumbling block to a feeling of full VR freedom. However, a joint venture between Valve and Quark VR appears to be solving part of that problem now. The two companies are working on a wireless prototype for the HTC Vive that should be unveiled some time this fall. According to a release from Quark, a small gadget is connected to the headset and a transmitter can be placed in the pocket of the user "that sends and receives the signal between the PC and the HTC Vive through Wi-Fi." "Getting the experience to feel seamless through Wi-Fi, keeping in mind the inevitable connection delay, was a huge challenge, but were getting extremely close to being able to show it in action," said Georgi Georgiev, a Quark VR co-founder. 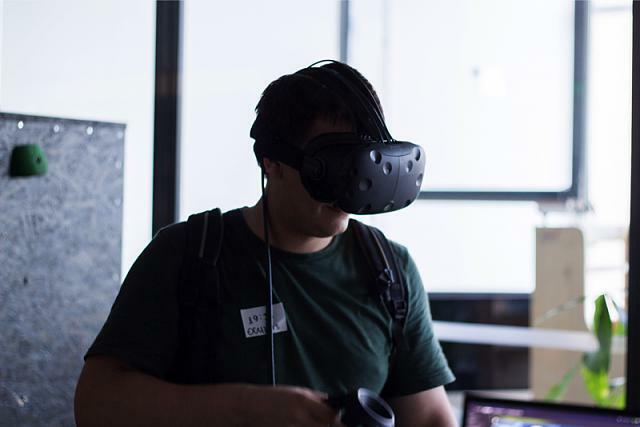 The Bulgarian company started working on a wireless version after trade show attendees showed tremendous support for the Vive, but expressed frustration with the wires. The company has been working directly with Valve for at least the last five months to get the protype ready to show. No official date for an unveiling has been released, but it will be interesting to see how well it works and just how small the necessary components are when added to the Vive headset. We loved the Vive already, but wireless would make it even better. I really hope this doesn't cost much more than the wired Vive. Keep us updated if you hear anything else. Ozy lists the ways augmented reality can change your life. Sphericam 2 a solution to the lack of 360 VR compatible cameras meant for the consumers. Implications of VR for water confidence and teaching kids to not fear water.